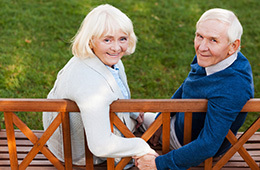 Peninsula Post-Acute is pleased to provide a sub-acute care program for residents recently released from the hospital. We are able to treat residents, in whatever state they may be in, from recently discharged from a hospital to medically fragile. Our goal is to help our residents in the recuperation process while helping them achieve their maximum capabilities to return home as quickly as possible. Severe injury often affects the whole person – body, mind and spirit. Our nurses are available 24 hours a day to provide optimal care. Our therapists, dietitians, and case managers are available to fit each individuals schedule. We thank you for choosing Peninsula Post-Acute for your sub-acute care needs.